With St. Patrick’s Day just days away, we thought we’d dish out some fun facts about one of Ireland’s signature drinks – whiskey. Get ready to attend the school of whiskey with these cool tidbits you can share celebrating this Irish holiday! 2) Whiskey is immortal…sort of: Keep your bottle of unopened whiskey out of direct sunlight, and it can pretty much last forever. 3) There are two ways “whiskey” is spelled…the most used spelling is with the “e” and the Scottish way is without, where this drink was born. Both are correct spellings so feel free to use either one. 4) What’s the difference between Irish and Scottish whiskey? 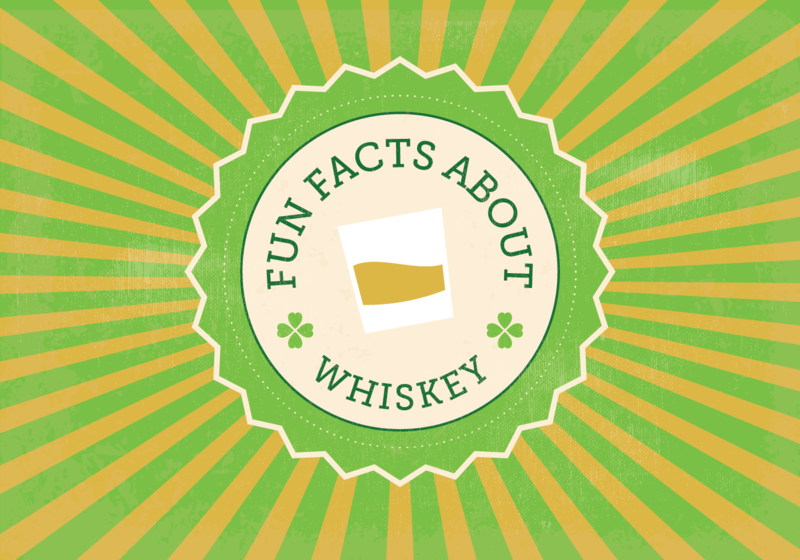 Irish whiskey is distilled three times whereas Scottish whiskey is distilled twice. 5) It takes a lot of this drink to freeze. It can withstand temperatures as low as 30 degrees Celsius and still not turn into ice! 6) Whiskey aging takes up a lot of space! Whiskey is aged in barrels and big companies are using millions of barrels to age their product, which can take years. There could be whiskey aging that’s older than you! 7) Hold the rocks! It’s been said that real whiskey connoisseurs don’t add ice to their drink. So if you want to drink it like a true whiskey drinker, hold the ice. 8) Whiskey is actually colorless! That burnt amber color you see in bottles is due to its aging process – its color is because of the barrels. 9) There are two places in the U.S. that are considered big whiskey regions – Tennessee and Kentucky (who produce bourbon). Other places in the world, of course, include Ireland, Scotland, and Canada. 10) Ireland and Scotland debate about who was the first to create whiskey. To date, there is no proof to determine who was actually first. Get all of your food staples at Mollie Stone’s Markets or order delivery to your door through Instacart. We even deliver wine, spirits, and beer. 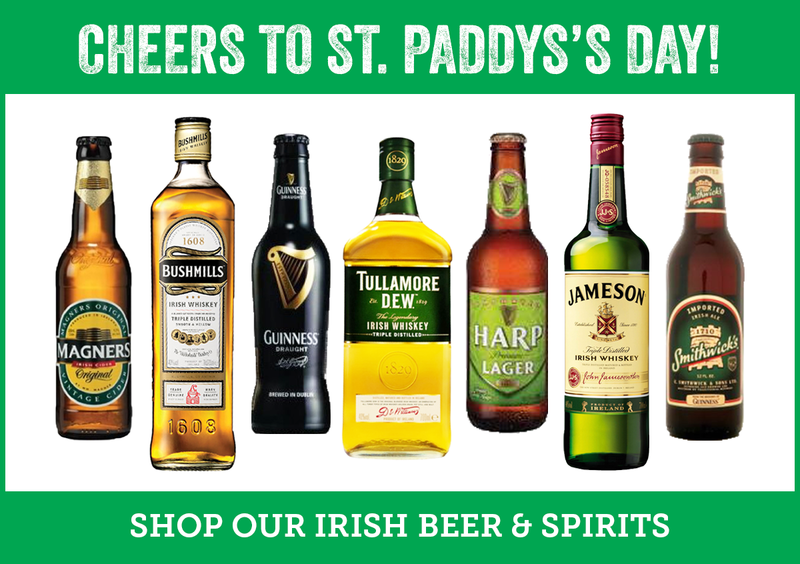 So stock up for St. Patrick’s Day! Be sure to share your favorite St. Paddy’s Day drinks with us in the comments below! Don’t forget to share your photos with us by posting onto our Facebook page or using the hashtag #CelebrateWithMollies on Instagram or Twitter. Happy St. Patrick’s Day! Please drink responsibly.